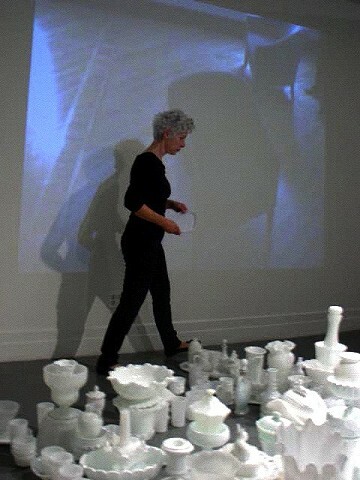 The Milkglass Mandala: Making Arrangements installation, video projection and performance focused on a shared relationship between iconic cultural practices and the everyday equivalents. October 2010 solo exhibition at A.I.R. Gallery, Brooklyn, NY.